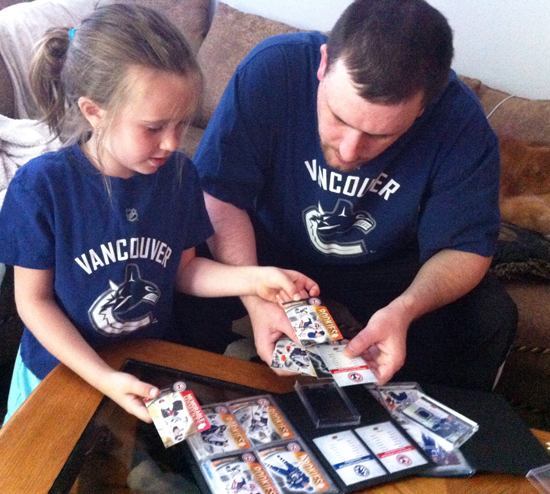 Fathers Bond with Their Kids as They Collect Upper Deck Cards! 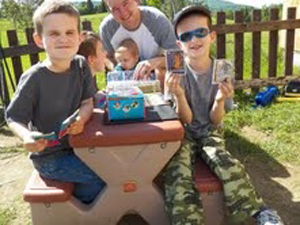 With Father’s Day this Sunday, we wanted to shine a light on the substantial bond fathers forge with their children when they share the hobby of collecting cards with them. 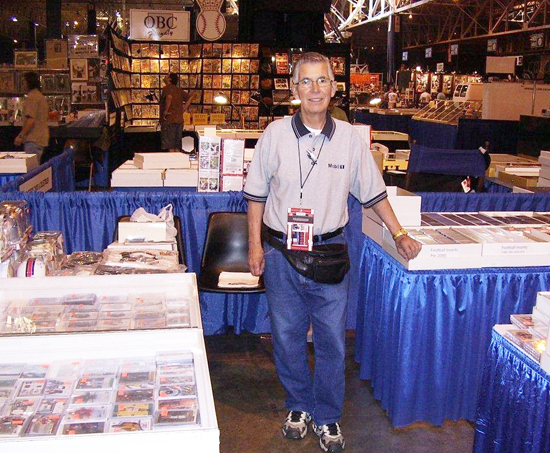 We received in dozens of captivating submissions about how collecting with dad meant so much to so many. From that we selected one dad to be Upper Deck’s first-ever “Father of the Year.” But we also felt inclined to share some of our favorite pictures and stories we edited down from other deserving dads. “Whether it is passing out cards to kids on Halloween, opening packs of Thomas the Train or celebrating maildays; my 2.5 year old daughter Chloe has discovered the joy of card collecting with me at a very young age. I must say she has some exquisite taste in cards- we both appreciate collecting the low-end as well as the very best that the hobby has to offer. 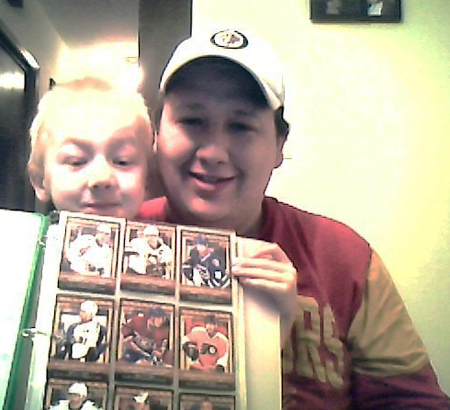 We may not have the same favorite players, but we both agree that Upper Deck puts out the best cards! We’re looking forward to someday seeing you guys get your NBA license back. Thanks for all the great memories Upper Deck! “My dad is the best dad in the world! Me and my sissy love opening packs with him every Saturday night because we all go to the card shop every Saturday after he gets home from work. My older sissy broke her ankle last night at her softball game and it was so scary because her ankle was twisted all the way around. My daddy was so scared and so was I, but he never left her side from the ball field to the ambulance and to the hospital. My daddy is always there for us. We are all going to The National this year in Baltimore and I’m so excited! “I started collecting 18 years ago and have been collecting everything and anything printed on cardboard since. I have four boys and despite three of them being very young, dad still lets them join in on my love for collecting. My oldest son is the big collector of the four and when he opens packs of Upper Deck cards, he looks for specific players, ‘wookie’ cards (rookie cards), ‘special cards’ (anything shiny or reflective) and “feeling ones” (jersey cards). 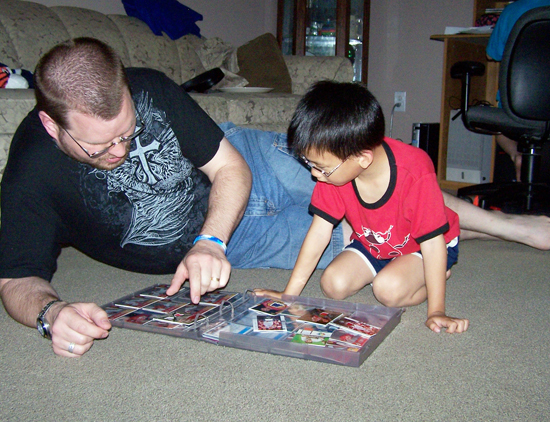 My son would say collecting with dad is fun because it gives us that special bonding moment everyday where we sit down and trade, look through binders, sort, look up prices and make our own cards from white fillers which is one of our favorite things to do together. Thanks again to all the collectors who shared and thank you to all the dads out there who make their children a priority by spending time with them collecting cards, tossing the ball around or just talking. It means the world to your kids. Happy Father’s Day! Just wanted to say thanks to Chris Carlin for recognizing my Dad. Not a pack goes by that I don’t think of all the UD product we busted together. Some of the best memories I will hold of my father were hobby related. Awesome promotion! Thanks Upper Deck!